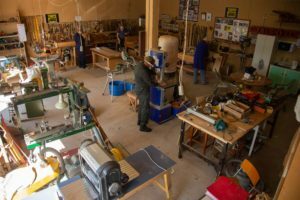 Members join us to make and repair stuff and to tinker, often ending up learning new skills, and making friends with whom they can discuss their troubling health issues. Our group has a good reputation throughout Taupo with a lot of publicity in local papers and speaking engagements. We service schools, council and conservation departments as well as private individuals for mere donations and plates of scones. Synonymous with worldwide sheddies’ edict our motto is; we work “Shoulder to Shoulder”. Most men don’t talk face-to-face about intimate issues, but working under that inspired mission statement, gives comfort to new members at our workshop. Members’ safety in the workshop is of paramount importance. We are registered with Charities Services and a member of MENZSHED NZ Inc.
We are always on the lookout for contributions of equipment. 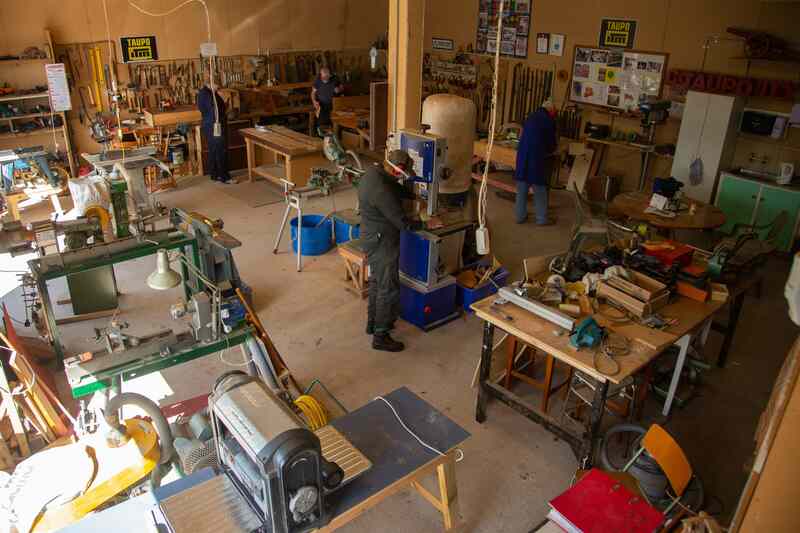 If you have any tools at home that are not being used, how about donating them to the Men’s Shed cause. Tools we can’t use we redistribute, give to the local hospice shop, or sell them off to raise funds for our workshop. Our well-equipped shed is at 29 AC Baths Avenue, Taupo and open Tuesday, Wednesday, Thursday and Saturday. Shed workshop phone 07 377 4850.